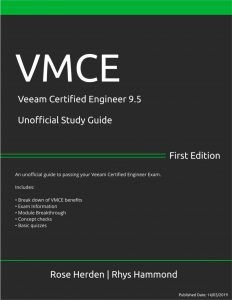 This practice quiz is designed as an unofficial study guide to aid you in studying for the VMCE v9 exam. 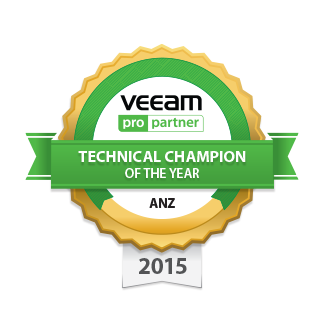 This is not endorsed by Veeam in any way. This is NOT the real quiz. You have 90 minutes to answer 50 multiple choice answers. Please enter your name and click next to start the quiz. You have completed my VMCE_v9 unofficial quiz. Please subscribe to my blog if you are interested in my ramblings about Veeam. When migrating a VM after performing an Instant VM recovery, Storage vMotion can only be used if you decided to keep changes on the NFS datastore without redirecting them to a datastore. Quick Backup is not supported for separate vCloud Director VMs as vCD job process vApps as integral units. To be able to backup the Oracle transaction logs make sure that the following mode is enabled for the oracle database. To ensure that a VM can be backed up using the Virtual Appliance mode, it’s not important to make sure the ESX(i) host on which the backup proxy VM resides has access to the storage where disks of a backed up VM are located. After you add an extent to a scale-out repository, can you use it again as a standalone repository? What are the supported Operating Systems for the WAN Accelerator role? Is network data encryption for different subnets enabled by default? What type of network traffic encryption (in-flight encryption) is used for network traffic? How many times will Veeam Backup & Replication create a synthetic full backup per job on a day it is scheduled? In the case of a missing VM configuration file, why is it better to use VM File Recovery in lieu of Full VM Restore? Instead of restoring the whole VM image to the production storage, you can restore the specific VM file only. VM File Recovery is not the best method since it can only work with .vbk files and not .vbi or .vbr files. What Operating Systems can the Veeam Backup & Replication extract utility work on? What is an Incremental Restore? Instead of restoring an entire VM or VM disk from a backup file ,Veeam Backup & Replication recovers only those data blocks that are necessary to revert the VM or VM disk to an earlier point in time. Changing the compression level and deduplication settings in an existing job will have what kind of effect on previously created backup files? 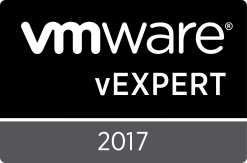 Is VMware Tools quiescence log truncation recommended for highly transactional applications like Exchange Server or SQL Server? Yes, VMware Tools quiescence does support log truncation and is recommended. No, VMware tools quiescence does not support log truncation. What is the guest interaction proxy? Is a backup infrastructure component that sits between the backup server and processed VM which deploys the runtime process in the VM and sends commands from the backup server to the VM. For a scheduler, periodic jobs have priority over regular jobs, e.g. if you have a monthly job and a daily job scheduled to run at the same time, in case there are only enough resources to launch one of them, the monthly job will be started. What happens when you perform a Quick Backup if many jobs exist for the same VM? To open mailbox databases, Veeam Explorer for Microsoft Exchange requires which service dynamic link library file that is used to query the Microsoft Exchange database (.EDB) and that is installed together with Microsoft Exchange? What is the file extension for the Microsoft SharePoint content database file necessary for Veeam Explorer for SharePoint to find and restore the Microsoft SharePoint documents you need? Virtual machines with disks engaged in SCSI bus sharing are supported. Change authentication method for database connection. Possible methods are Microsoft Windows authentication and Microsoft SQL server authentication. Connect to a different database on the same or another Microsoft SQL Server instance. If you specify a database that does not exist yet, it will be created on the selected server. Where do you assign a guest interaction proxy for a backup or replication job? If a connection between two sites was slow, the job performance decreased. If the backup server had no network connection to VMs, application-aware processing tasks were not accomplished for these VMs. The guest interaction proxy will only deploy the runtime process if protecting a Microsoft Windows VMs. In VMs with another guest OS, the runtime process is deployed by the backup server. Can a customer have more than one edition of Veeam Backup & Replication in the same physical environment? No, only one edition (Standard, Enterprise, or Enterprise Plus) can be used in the same physical location. How often does the auto-discovery process scan attached tape devices for tape libraries and tape drives? If you have a number of Veeam backup servers, you can connect one tape server to several Veeam backup servers simultaneously. Which edition of Veeam Backup & Replication is guest interaction proxy functionality available? Where do you enable ‘Per-VM backup files’ for a protected VM? What happens if you enable or disable the “Use per-VM backup files” option for existing backup repositories to which backup jobs are already targeted? The new setting will not have any effect on previously created backup files on the backup repository. It will affect new backup files created after the setting is changed. The “Use per-VM backup files” option can be enabled for backup repositories with rotated drives. The target backup repository must have enough space to store a file of the full backup size. The Defragment and compact full backup file option can be enabled only for the simple retention policy scheme. When the guest interaction proxy is protecting VMs with non-Microsoft Windows OS, the runtime process is deployed by the backup server. If a network connection between the backup server/guest interaction proxy and VM guest OS breaks during the job session, how many times will Veeam Backup & Replication attempt to reconnect? Heartbeat tests for SureBackup jobs are possible on either Hyper-V & VMware platforms. 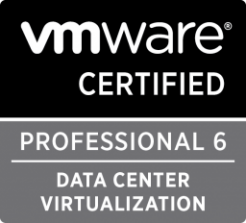 For a heartbeat test to be performed, VMware Tools for VMware or Hyper-V Integration Services for Hyper-V needs to be installed and running on the VM being tested. For every Microsoft SQL Server VM whose transaction logs you want to back up, Veeam Backup & Replication defines how to ship logs to the backup repository. What are the two methods that transaction logs can be shipped? (Select two answers). What are the two backup file placement policies available for scale-out repositories? If you want to remove an extent from the scale-out backup repository, you first need to do what two things? Protect replica files against corruption, bit rot etc. Protect backup files against corruption, bit rot etc. Why does Veeam Backup & Replication save information about excluded data blocks in the backup file and replica metadata? By default, guest files system catalog only keeps data for backups currently on disk. With Standard Edition, guest file system catalog only keeps data for backups currently present in backup repositories. With Enterprise Edition, catalog is also kept for archived backups according to the set retention period. What is the default retention period for guest file system catalog if using Enterprise Plus? @lillilblurkin @haslund @HammondRhys thanks you very much…???? @lillilblurkin @haslund @HammondRhys Thank you guys! Hi @nadeemax , did you pass the exam?